Israeli Prime Minister Binyamin Netanyahu and Turkish Prime Minister Recep Tayyip Erdogan spoke by telephone on Friday. 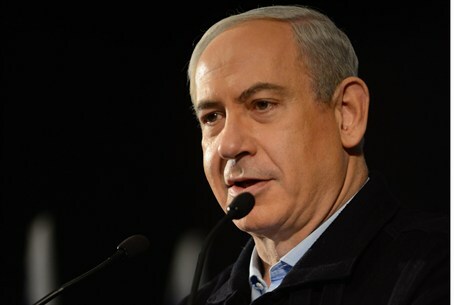 Israel's Prime Minister Binyamin Netanyahu on Friday apologized to his Turkish counterpart for the deaths of nine Turks in a 2010 raid on a Gaza-bound flotilla, a senior US official said. "On behalf of Israelis, he apologized for any deaths those operational mistakes might have caused," the official said aboard Air Force One, indicating the exchange had taken place in a phone call. Turkish "Prime Minister (Recep Tayyip) Erdogan accepted the apology on behalf of Turkey." The U.S. president released an official statement on Friday afternoon stating that he welcomes the phone call, which was made shortly before he departed Israel for Jordan after a two-day visit. "The United States deeply values our close partnerships with both Turkey and Israel, and we attach great importance to the restoration of positive relations between them in order to advance regional peace and security," the statement said. "I am hopeful that today's exchange between the two leaders will enable them to engage in deeper cooperation on this and a range of other challenges and opportunities." The ties between Israel and Turkey deteriorated due to the May 2010 Israeli Navy raid on the on the Mavi Marmara vessel, which was on its way from Turkey to Gaza. The ship was part of a flotilla that had the intent of breaking through a blockade Israel had placed on the coastal territory. Nine Turkish activists were killed in the incident. Netanyahu’s office confirmed Friday afternoon that a conversation with the Turkish leader had taken place, saying in a statement that Netanyahu had told Erdogan “he had just had good conversations with President Obama about regional cooperation and the importance of Israel-Turkey relations. He regretted the recent deterioration of relations between Israel and Turkey and expressed his commitment to overcoming their differences in order to advance peace and stability in the region.